วันเปิดจำหน่ายวันพุธที่ 16 พฤศจิกายน 2559, 10:00 น.
presale วันที่ 16 พย. 10.00 น. ถึงวันที่ 17 พย. เวลา 9.59 น.
Bangkok, Thailand – The biggest, baddest and meanest concert will rock Bangkok come February 2017. You don’t have to be an ardent fan to recognise “Sweet Child O’ Mine,” that song that dominated much of the airwaves in the 90’s since their debut album, Appetite for Destruction, and played on the top charts across the world. Judging from the sold out concerts and acclaimed reviews across the globe, Guns N’ Roses are definitely one of the best rock bands of all time, they are back, bigger and better than ever, leaving blazing trails in their wake. In addition to three original members, the latest incarnation of the band has seen some additions to the original lineup. A long awaited reunion of luminaries, frontman, Axl Rose, leads the posse of fellow legends with Slash and Duff McKagan back in the fold, ready to wail on lead guitar and Bass, much to the delight of Guns N’ Roses fans, The classic trio are joined by Richard Fortus on rhythm guitar, Frank Ferrer on drums, Dizzy Reed on keyboards and the newest member Melissa Reese, who adds a new dimension to the band’s sound. Not in this Lifetime Tour kicked off on the 1st of April, at the famous Troubadour in Los Angeles, CA, where they first started; selling out stadiums across the Americas. Unimaginable shows, from across the USA, Canada, Mexico, Peru, Chile, Argentina, Brazil thus far, with more countries in its sight. Each show, better than its last. 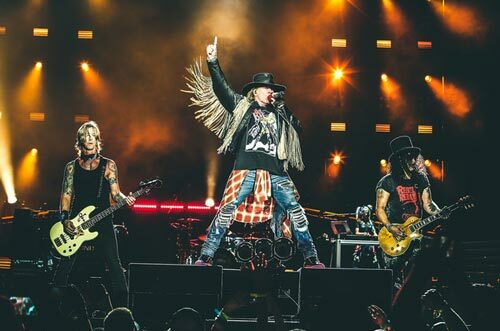 Guns N’ Roses promises to deliver an amazing show to fans new and old, and Southeast Asian fans should not miss the chance to be at the most anticipated rock show of their lifetime. Pre-sale for Nightrain (Guns N’ Roses Official Fan Club) will begin on 16th November 2016, 10am (GMT+7) to 17th November 2016, 9:59am (GMT+7). Tickets for the general public will begin on 17th November 2016, 10am (GMT+7) onwards. Avid fans will be able to get their hands on special VIP packages that come with exclusive privileges. ผู้ที่ซื้อบัตรผ่านทางเว็บไซต์ www.thaiticketmajor.com และ TTM Call Center 02-262-3456 และเลือกชำระผ่าน เงินสดและเอทีเอ็ม จะมีระยะเวลาการชำระเงินภายใน 2 ชั่วโมงหลังจากทำการจอง / If you make a ticket reservation at www.thaiticketmajor.com or TTM Call Center 02-262-3456 and select the payment with counter service, you need to pay within 2 hours following your reservation. หากบัตรยืนสูญหายจะต้องซื้อใหม่เท่านั้น / In case of lost Standing Ticket, Thaiticketmajor reserves the right to not issue a new ticket under any circumstances. ไม่อนุญาติให้ผู้ที่มีอายุต่ำกว่า 12 ปี เข้าชมโซน Standing / Admission to Standing Pen for 12 yrs old & above only. 13 ธ.ค. 2559, 00:00 น. 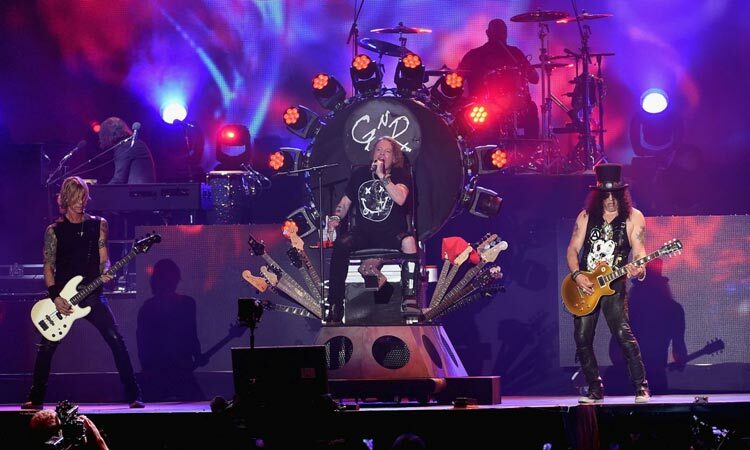 Guns N' Roses ขายตั๋วคอนเสิร์ต 1 ล้านใบ ในวันเดียว!